PcPatchers Technology provides Domain Name Registration Service if you are, small business, corporate and to global resellers, which you can use for developing corporate web presence. Our Domain name registration Panel delivers more features than any other domain service agency. Domain forwarding and DNS management console. 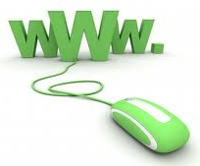 Search out domain name for your website. The major step in creating a website, even prior step is selection of a domain name that describes your business or organization very well. After selecting the domain name and we assist you in checking availability of the domain. If it is not available then we help you in selecting different yet equally good domain name. Once available, book your Domain Name before anybody does. Select the period for which you wish to buy your domain and email solutions and get going. Pay and acquire the domain. Start your small business in the world with prospects of successful as well as easy to use domain managing method. We will ensure best Enterprise Options, that offers you flexibility as well as complete control more than ones domain in an unrivaled price tag in the market. Do it now! Register a domain name of your website today to help brand your small business, product as well as service. Contact us for further information or free consultation.